Hola Flo! 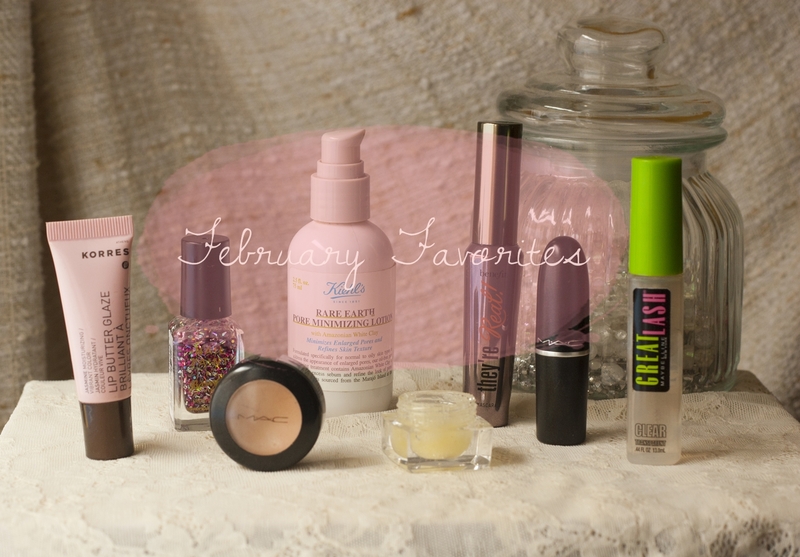 Beauty and Lifestyle Blog: February Favorites! Happy that another month is over, specially February that is probably the hottest month here in Buenos Aires. Great for girls with thin and short lashes, lovely wand but hard to remove it out of the eyes. Pestañas cortas y finitas? Get it. Got it by the end of February, currently obsessed with it, can't stop wearing it! Me llegó hace poquito pero ya lo amo. My favorite summer moisturizer, so light and visibly reduces the size of my large pores. Score! Mi hidratante preferido de este verano, visiblemente minimiza poros. I'm supposed to be tanned during summer but that didn't happen, this concealer was great help covering blemishes and adding light to my eyes. Another plus is that it looks full but I'm wearing this non stop since October! Muy cubritivo y da luz a los ojos.. y dura muchos muchos meses. I did this myself and I'm loving it! Mixed 2 tsp of sugar and one of olive oil and voila! Works amazzing. Lo hice yo misma y salio genial! 2 cditas de azucar y 1 de aceite de oliva. Everybody loves this! It smells like cake and tastes delicious (I know I shouldn't be eating it). I don't think it's ultra moisturizing but it works for me. Huele y sabe a torta de vainilla, no es lo más hidratante pero me gusta mucho. What an amazing product, if you have full eyebrows you should definitely give this a try, it's very very cheap and my eyebrows stay on place all day. Esto es genial, mantiene las cejas en su lugar todo el día y esta a 30 pesos! I haven't used this too much but I am amazed by how it smells and the color. Looks so beautiful on light skin tones. Suitable for summer and winter. Now I'm off to pack 'cause tonight I'm flying to Florida! I'll be staying there for three weeks shopping as much as I can so, be ready for all the reviews and hauls ! Ahora sí me voy a empacar que esta noche me voy a Florida, USA. Estaré 3 semanas y compraré de todo asi que esperenme con muchos reviews y hauls! Que cosas tan lindas... espero que tengas buen viaje, Flo! qué bonito es ese labial :D e ha encantado! Me encanta el labial de MAC, lo tengo en vista hace tiempo pero el color es similar a otros que tengo de la marca como Angel así que todavía no me permito comprarlo. Mucha suerte en tu viaje y shop til you drop! These are great favourites! I really want to try that concealer! Que hermosas cosas! muero por esa máscara. Un beso y suerte en tu viaje! Divinoo todoo! tomo nota del diy para labios! me encanto! 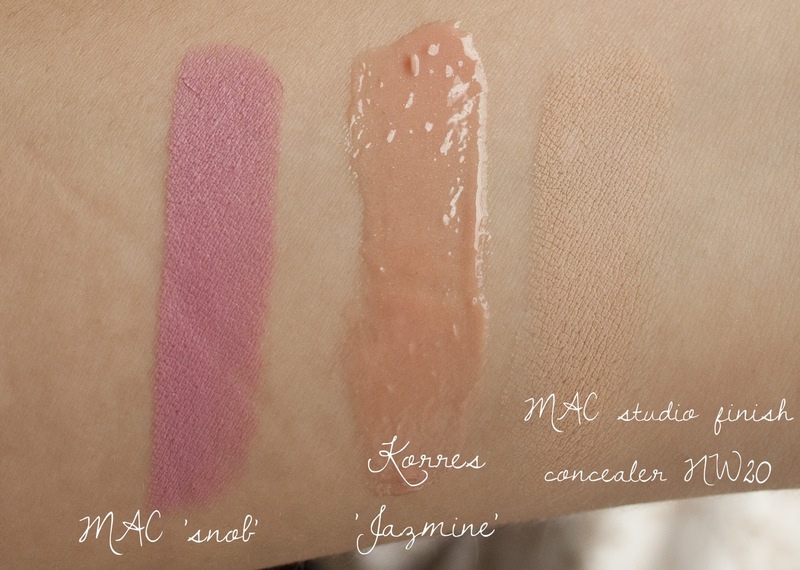 Korres jasmine looks so pretty! 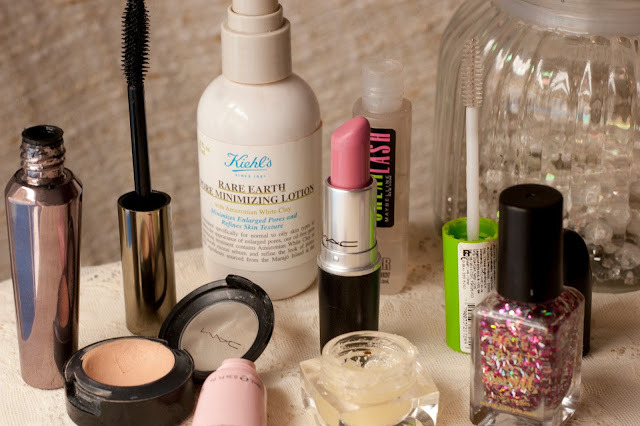 try using an oil based eye makeup remover for stubborn mascara, using just regular olive oil works like a charm. aaaaaaaaaaaa me gusta todo excepto el tono snob de labial. Bueno a mi me gustan los tonos mas oscuros, no hay con que darle! te mando un beso enorme y que tengas excelente semana! hola! Que buenos los productos!!! Me encantó el esmalte!! Great post Flo! I have to agree with you about the Benefits They're Real mascara! It's amazing and definitely worth the splurge!! I am fascinated by Mac snob! I'm also using NW20 and I must say it is amazing! La máscara de pestañas de Benefit es la mejor máscara que he tenido en mi vida, la adoro!